There is no guaranteed formula available for calculating an alimony payment in California. However, you can make a fairly educated guess at what your alimony payments might be by analyzing the guidelines used by California courts. You also can get an estimate of your alimony payments by using an online alimony calculator, but alimony calculators will not consider many specific details that may be pertinent depending on your circumstances. Assess the factors that California courts look to when awarding alimony including the length of your marriage, your general standard of living during your marriage, the income of both you and your partner and the abilities of each spouse to maintain a job without impairing the interests of any children resulting from the marriage. California courts generally allow larger alimony awards where the marriage lasted for a significant amount of time, the standard of living was high for both spouses during the marriage, one spouse makes significantly more money than the other and one spouse will be impaired in seeking employment due to the need to provide child care. Additionally, even if one of the spouses is not employed, California courts will consider any relevant job experience or marketable skills. 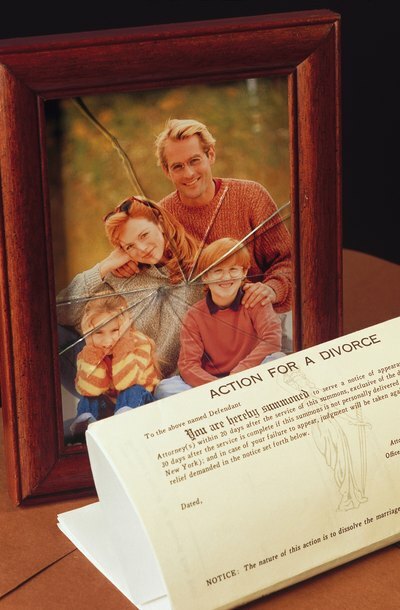 Assess other factors that California courts may consider, including the age and health of both spouses, debts and property held jointly or individually, whether one spouse supported the other while that spouse sought education, career training or a professional license, the tax ramifications of spousal support and the existence of domestic violence in the relationship. California courts will generally award higher alimony payments if the receiving spouse has special health needs, limited property, high debts and that spouse was a victim of domestic violence. Determine who makes more money -- you or your spouse. If one spouse makes significantly more money than the other, that spouse will likely be forced to pay alimony. Compile a list of the above factors that will bolster a judge's ability to award you a higher alimony payment under California law. You may use this list when you go before the judge to determine actual alimony payments. The ultimate goal in awarding alimony is to maintain the current standard of living of both spouses, so California courts may also look to other factors that would favor one of the spouses. Most states require each spouse in a divorce to fill out a financial statement. These forms give judges the information necessary to make fair decisions on child support, alimony and division of assets. While each state has its own form, the basic information necessary to give the court a picture of your financial situation is the same. If your financial picture is extremely complicated, you should seek professional help to fill out the form. As Kentucky parents, when you and your spouse divorce, the court sets a child support amount for the noncustodial parent to pay to the custodial parent. These support payments are designed to provide financial help so that your children are not financially disadvantaged by your divorce. The state has crafted its child support rules so that they deal with nearly every situation that might arise. During divorce, couples need to decide whether one spouse will pay alimony to the other spouse. Every marriage is different — some spouses can agree amicably about alimony, whereas others need guidance from the courts. Alimony, known as "spousal maintenance" in Illinois, often depends on your financial circumstances. Each spouse should know the maintenance factors set by Illinois statute and understand the types of maintenance available to Illinois couples. Do I Get Alimony if I Make More Money Than My Ex-Husband? Can I Collect Alimony in California if I Enter a Registered Domestic Partnership? Is There a Law in Washington State About No Overtime for Child Support? Can Child Support Go Up When a Spouse Makes More Money in California?